College of Veterinary Medicine students and faculty will be putting ‘Our Oath in Action’ at the 2015 Fall Roundup and Taste of Alabama Agriculture on Saturday, Oct. 3 on the Auburn University campus. The Alabama Veterinary Medical Association and the American Veterinary Medical Foundation are joining with the College of Veterinary Medicine to participate in “Our Oath in Action,” part of a national campaign to bring awareness to pet healthcare. “Auburn veterinary medicine students and faculty will be using the AVMF’s Animal Emergency Response trailer to educate the public on how to take care of their animals during natural disasters and hand out information about keeping pets healthy year-round,” said Dr. Julie Gard, an associate professor in the Department of Clinical Sciences in the College of Veterinary Medicine. Ag Roundup will open at10 a.m. and close at 2 p.m., one hour before kickoff for the Auburn-San Jose State football game. This is the 36th year that the Auburn Agricultural Alumni Association and the College of Agriculture have co-sponsored Ag Roundup as a way to increase the public’s awareness and understanding of agriculture and its major impact on Alabama’s economy. Admission is $5, paid at the gate, and children under 6 are free. Ag Heritage Park is located on South Donahue Drive, between Lem Morrison Drive and West Samford Avenue. Members of the veterinary profession are committed to the well-being of animals. Every day, in their clinics and in their classrooms, they embody their veterinarian’s oath, using their scientific knowledge and skills for the benefit of society and the advancement of medical knowledge. “We are excited to be a part of Ag Roundup on Auburn’s Homecoming to showcase the important work of the AVMF and the College of Veterinary Medicine to help animals,” Dr. Gard said. Veterinary medicine students participating in Oath in Action at the event are members and officers of the Student Chapter of the American Veterinary Medical Association and officers of the Pre-Veterinary Medical Association Club. 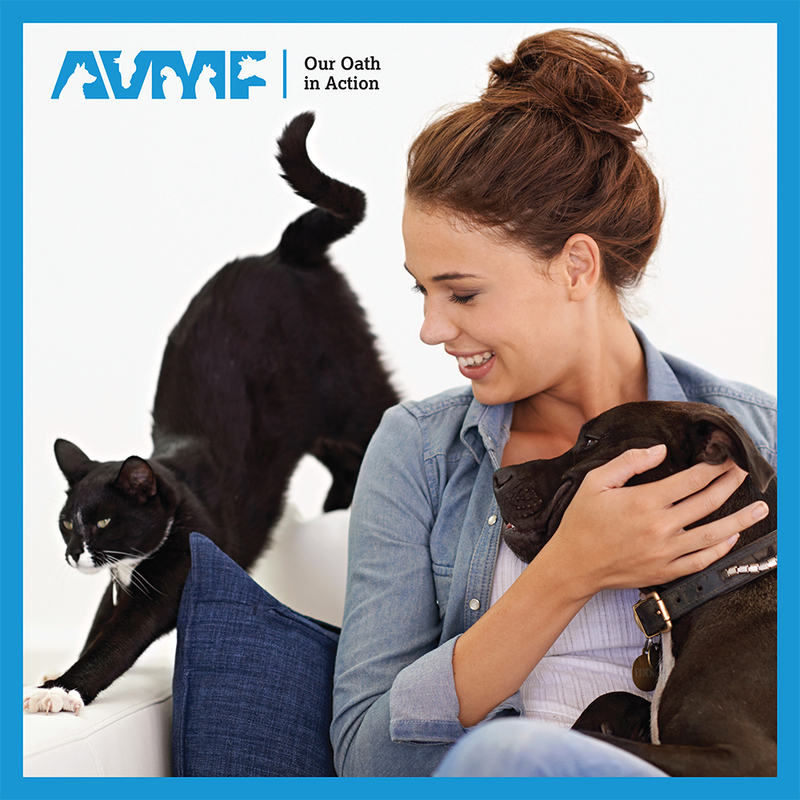 The AVMF, the charitable arm of the AVMA, created Our Oath in Action day to put that pledge into practice. “Our Oath in Action is an important educational and service mission of the College of Veterinary Medicine and the AVMF,” said Dr. Brad Fields, ALVMA assistant executive director.